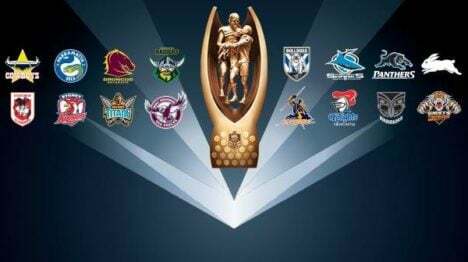 The Cronulla Sharks victory over the Melbourne Storm in the NRL Grand Final, breaking a 50-year hoo-doo, has delivered the NRL its highest five-city audience of all time for a Grand Final with 2.647m tuning in. Time adjusted figures gave the match the winning margin in every metro market as 1.059m tuned into the match in Sydney. Brisbane saw 720,000 watch, while 641,000 Melbourne fans sat through their team’s loss as the match came to a thrilling conclusion. The audience in Perth topped 118,000 while 109,000 tuned in from Adelaide. The clash gave Nine a massive win with the main channel securing a 40.3% share against Seven’s 13.9%. Nine saw 1.611m watch the Grand Final presentation after the game and 1.321m viewed the Grand Final entertainment before the match. Nine News at 6pm also performed well with 1.204m watching across the five cities while Seven News drew 984,000. In a night with tough competition Seven’s Big Music Quiz at 7pm drew 527,000 and Sunday Night at 8pm attracted 458,000 viewers. Faced with the Grand Final as opposition, Ten went with a movie – Night at the Museum: Secret of the Tomb – which was watched by 340,000. Over on the ABC there was a good audience for Poldark at 8.30pm as 453,000 tuning in to the period drama.